[UPDATED JUNE 10]. At somewhere around 3:00 AM the morning after, with 99.89 % of all polls reporting, the Doug Ford PCs have 76 seats (61.29% of the total) with 40.49% of the province-wide popular vote. 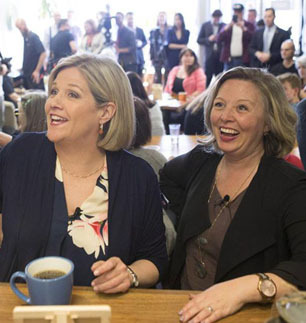 Andrea Horwath’s NDP has 40 seats with 33.57% of the popular vote. Kathleen Wynne’s former governing Liberals have 7 seats with 19.59% of the vote. And Mike Schreiner’s Green Party at last has 1 seat (his own, in Guelph) with 4.60% of the vote. Mr. Ford’s victorious majority government is not quite of the greatest in Ontario history magnitude he once envisioned. As a handy chart published by the Globe and Mail makes clear, among the now 19 Conservative majority governments in the modern province the 61% of the seats won by the Ford Nation PCs in 2018 ranks 15th. It’s better than the 59% of seats managed by John Robarts in 1967, but not quite as good as the 63% Mike Harris won in 1995. And it pales altogether beside the 88% won by Old Man Ontario Leslie Frost (aka The Silver Fox) in 1951, or the 85% won by Frost in 1955. Or the 81% achieved by James Pliny Whitney in 1908. Or even the 80% won by Howard Ferguson in 1929. In any case it has generally proved true that this time the pollsters were pointing in the right direction. And, eg, Éric Grenier’s very final seat projections for the CBC Poll Tracker on June 6 (PC 78, NDP 45, LIB 1) underestimated the Liberals and overestimated the NDP (and even the PCs slightly), and left out the Green Party’s first seat in the legislature. But both here and in its % popular vote estimates the CBC Poll Tracker was close enough to what has finally happened to make M. Grenier look pretty good (and even the CBC too, maybe?). 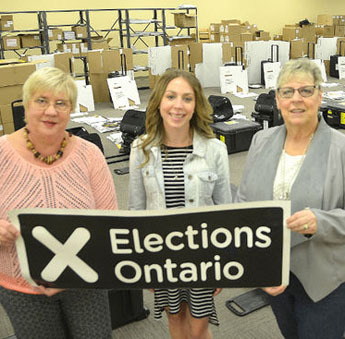 On another front, with almost all the polls now reporting, Elections Ontario’s “Election Night Results” are estimating a province-wide voter turnout of 58% — at least up considerably from the 51% of 2014 and especially the 48% of 2011. What did the majority of the Ontario people really do? PC partisans like former Harris-era cabinet minister Janet Ecker (on TV Ontario last night) seem to think it’s somehow unfair to point out that the majority of people (close to 60%) have in fact voted against the Tories this time. (As they usually do.) And the reason this seems less striking in the parallel case of Liberal governments, eg, is that NDP voters can often be reasonably assumed to approve of at least many progressive Liberal policies (and vice-versa). Close to 41% of the province-wide popular vote is also impressive enough. There are various sides of the region that have felt unfairly excluded from the Ontario public policy machine at Queen’s Park over the past while. They are now back in charge, after an absence of 15 years. And they have won a big enough victory fairly and squarely, by all the rules of the game (including our sometimes twisted mixture of party and electoral systems). With my particular policy philosophy, I remain particularly interested in the Group of 7 Liberal survivors. They may not be recognized as an official party (you allegedly need 8 members for that). And Kathleen Wynne herself has quickly resigned as party leader. But I think they make an intriguing group with some kind of potentially interesting future over the next four years. In the Toronto area : Kathleen Wynne finally managed to hold Don Valley West by a mere 181 votes ; Michael Coteau won in Don Valley East by 1,027 votes ; and Mitzie Hunter squeaked by in Scarborough-Guildwood by a mere 81 votes. In the Ottawa area : Marie-France Lalonde won in Orleans by 2,463 votes ; Nathalie des Rosiers won in Ottawa-Vanier by 6,323 votes ; and John Fraser took Ottawa South by 5,464 votes. And in the great far Northwest Michael Gravelle managed to hang on in Thunder Bay-Superior North by 819 votes. I of course continue to have vast reservations about Premier-elect Doug Ford. (For at least some further detail see, eg, the Globe and Mail editorial of June 5.) His supporters say it’s unfair to compare him with Donald Trump. And in one sense I agree. 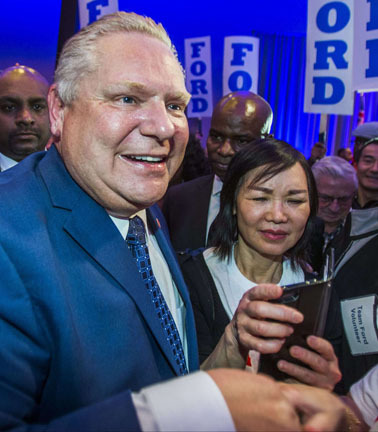 Doug Ford, like the Toronto in which he grew up, is authentically multicultural and diverse. In most other senses, however, he strikes me as far too much like Donald Trump for comfort — if you are not one of the not quite 41% of the 58% of the electorate who turned out to vote for him yesterday. As someone who is no longer a resident of Ontario, but currently living in Nova Scotia, a province where the “Liberal” government is far harsher than what the Progressive Conservatives’ platform is, I send my sincere sympathy. The government in power’s lack of interest in reflecting what is overall ‘for the general good’, responding to petitions, reasonable statements of fact that should inform policy development is leading to a quietly authoritarian government. 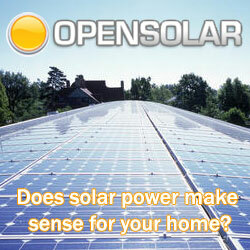 My sense is Ontarian’s will experience a similar lack of reasonable governing. I received an email from the YWCA yesterday, stating clearly concern with the incoming government’s refusal to respond to their pre election questions re: policies about violence against women, etc. It is a strong bold beginning reflecting one way forward. Stand up for what is needed and right to create a more just society…. In Quebec “drinking sometimes is not an option” : Is there any good in Andrew Potter’s snowstorm malaise? Is PQ turning into just another Saskatchewan Party .. clearly not .. Quebec not like others .. but .. ?? 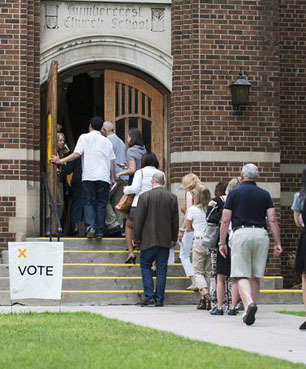 Is new Canadian national dream rising in Alberta .. under new kind of New Democrat government? Can the security card give Harper Conservatives new life in Quebec? Kathleen Wynne’s new government in Ontario has four years to show the bond vigilantes she’s smarter than they are?